« Coming Up For Air For One Quick Breath! Keep Up Those Siesta Prayers! Sisters, I just thought I’d better shoot you a quick update. I told you earlier today (see previous post) that CJ was getting better but he’s back up to 103 degrees with an elevating white count. They’ve just put in a call to his doctor. Thank you so much for your concern. We are humbled that you’d join us on this journey and expend the extra energy for intercession. I’ll let you know something some time tomorrow. And, since so many of you mentioned the simulcast, please know that I, too, am super excited about Saturday and counting on God to come through for us. Your anticipation fuels mine! I trust Him to settle my mind about the Joneses in time to have at least forty-eight hours of solitude leading up to the event. I got in a couple of hours of study today while AB was napping and Jackson was at Mother’s Day Out. If, for any reason, we’re still turned upside down around here, I also trust God to show His strength in our weakness. He’s preparing for Saturday even while I’m keeping these babies. Their Nana will be on her way Thursday and God willing (and I know that He is), I’ll see you then! It’s by no means up in the air. This entry was posted on Tuesday, April 20th, 2010 at 8:43 pm	and is filed under Uncategorized. You can follow any responses to this entry through the RSS 2.0 feed. You can leave a response, or trackback from your own site. Lord we lift Curtis up to you Lord lay your healing hand upon his body and may the fever go away and he will be a new man. Lord be with sweet bibby as she is preparing for her lesson for Saturday Lord we ask you that you would put your angels around her and help her to have sound mind and that she would stay focus on You Oh Lord. Lord we pray that you would heal her sweet little toe. These Moore ,Jones , Fitzpatrick women rock our world and they love you Lord with all there heart. Give that family a supernatural strength that can only come from You Lord. Love you Ms. Beth you go girl us seista’s have your back. I am so sorry I forgot to mention it, Beth, but I am praying just as much for you as you prepare your heart and mind for Saturday. And, Amanda, I am praying for you as you try to juggle things between hospital and home, sick husband and children. I have been where Curtis is and where you are, and both require a deal of help from the Lord. Praying healing for Curtis and holding all of you in prayer to the Father. Life is hard but God is Good. God bless your sweet family. May God give you peace and bring salvation to many souls on Sat. Praying for your time with the Lord for Saturday – I can not wait! I am praying for your family. I so wish I could be at the simulcast on Saturday. I have a ministry commitment all weekend and can’t attend on Saturday. Is there any other way to view this???????????? I loved the book and am so grateful for your ministry. My ladies bible study just finished the Daniel study today. Gotta say, so sad to end this one, but I am so excited to continue my study of eschatology. All my bible study girls will see the simulcast but not me :(:( I will be thinking of all of you on Saturday!! Well, now I know why I have been thinking about you all and praying the past few days. I would get a minute at work but can’t blog there and home life was well, busy too. You are all in our prayers and we know that God will shine His glory in healing and rest for He Is Able!! HUGS to all!! Beth,I’m so sorry to hear about Curtis. Praying for healing for Curtis and for your family as you support each other through this time. I will be praying for The Jones family! Bless them! And for you Beth…May God continue to strengthen you and surround you with His peace. children, 2 married daughters (no grandchildren) and 1 teen boy. Doesn’t that make you tired just hearing all of that??? Anyway, I’m praying for you, as you do some of what I do daily, and I wouldn’t trade it for anything! (She didn’t even flinch!) But boy oh boy it took me to my knees and I had to do my lamaze breathing for a few minutes!! ouuuuuchhhh! I know! Just two thoughts…praying for full recovery for Curtis….and for you to choose your shoes wisely for the weekend. You will wear cute shoes again but it may not be this week! Amanda- Praying for you as you take care of your husband. I know its tough to be torn between your husband who needs you and your two little ones at home. You are right where you need to be. Praying that the antibiotics will work quickly and that he will begin to regain his strength. Psalm 46:1 God is our refuge and stength a very present help in trouble therfore we will not fear. 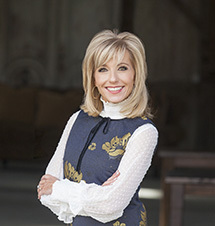 Thank you for all you do Beth Moore. Your words have truly saved my sanity many times and kept my heart from breaking many times. I listen to your breaking free series over and over to keep your words what our Lord says about staying away from certain people and how getting burned by a friend is sometimes worse then having your house burn down. Thank you with all I have to give for your reminding us all that God is our judge and no one else, That God will get us through and never leave us or betray us. Thank you. I look forward to the simulcast on sat. If for some reason it has to be postponed due to all that is going on in your household, I know people will understand. I pray your toe heals quickly and your son inlaw is on the mend very quickly. God Bless you and God has blessed us by putting you on this planet to help those of us who need the little extra reminders that our emotions are not in control , our God is. Bless you. I am praying for you and all the family Beth! I’ll also have my family pray and I’m going to email the women from our church who are going to the simulcast to have them pray too. I can’t wait to “see” you on Saturday. I hope your heart will be at peace that day. Love & appreciate you Beth! Keeping the Jones/Moore crew in my prayers!! And I can’t wait to hear what the summer study will be!! I was too swamped to do it last summer, but I will be able to join in this time around. Very excited!! God may Your healing power flow through CJ’s body from the top of his head to the soles of his feet. May Your word come forth and be medicine and life to his body. Lord, only you know what the Jones and Moore’s need right now…touch them and show Yourself to them in ways that only You can do. Thank you for being right by their side during this difficult time. Thank You for being everything to them. Once again, You will show Yourself to be faithful…You just can’t help Yourself! I love You and I’m so greatful for you coming into my life. We are praying for CJ. Can’t wait for the conference on Saturday. So excited about it!! I am praying for healing! I haven’t had internet access for sometime and am just now checking out your blog. While you all have been have such a crisis in your family, ours has been going through one as well. You all will be in my prayers! I must believe God is getting ready for something big to have so much happening right now. I have a child whose marriage has just hit the fan, she is 12 weeks pregnant and devastated! Another one with severe Asthma problems, married but no insurance for her, and she can’t go to the Dr., then my health has taken another dive over the last few months and weeks. Oh, did I mention my 90yr old grandmother live with me also? I’m so thankful God knows all things and already has a plan. If He could just let me know pretty soon, it would sure help! I pray Curtis heals quickly! What would we do with out our MOMS!! Mine lives next door and is there for me when I need her. I will be at the Simulcast in my church and I’m praying that both my girls will be there with me. That will surely be a “GOD THING”! I love being able to share with you and make you part of my family though on earth we may never meet. May God grant you sleep, study/prep time/ and abundant blessings!! praying for your family right now… love you my siesta. and you are right, GOd does have a plan! cant wait to hear all about how He worked this out for His glory. Also praying for sweet Amanda and you mama Beth! My mom and I are heading to ATL on Friday for the SLI event. that are coming from all over the country even a few from Michigan. Be safe and see you Saturday! Beth, Without a shadow of a doubt we know that God is a Healer! He can do exceedingly….Looking forward to the simulcast on Saturday, all the way from La Plata, Maryland! Yesterday my sister and I attended So Long Insecurity and I can’t tell you what a blessing it was to us both. To be honest i had wanted to go but never said anything to anyone (of course I was too insecure to attend alone). However my sister called with tickets and I KNEW we were supposed to go. I drove 30 miles to pick her up and return her and I have to say sitting there with her was a joy as we both soaked up God’s message to us through Beth. It was an AMAZING time-May God richly bless you!! How do I keep myself from blushing when feeling insecure? This happens when I’m talking to someone in person or even on the phone. I can feel the heat in my face, and others comment about how red my face gets. This just adds to the problem. I know you can’t answer individual questions on the blog, but I woke up wondering if we are going to have a summer study to do together this year! I hope so! !